What would happen if the lights went out riding the elevator and after a while, next to you, there is a little scary girl? Such a scary prank prepared a few people in Brazil. See their reaction, they were really scared! Steer clear of snakes from a distance, especially venomous. 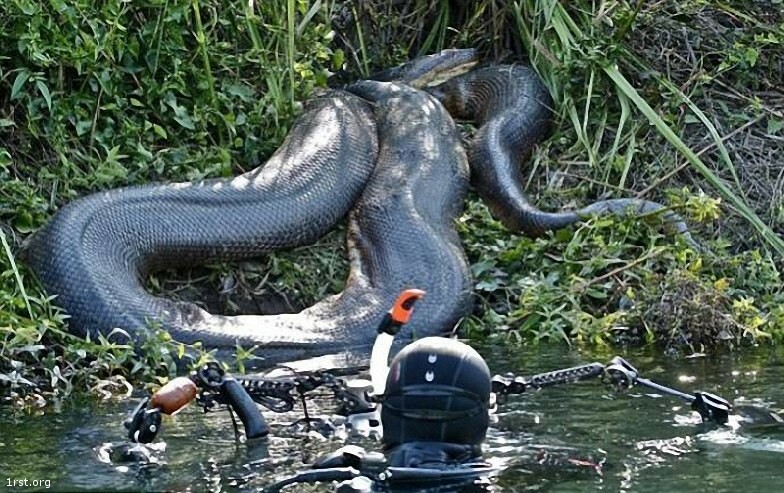 But how to bypass snake that is 8 meters long and can easily swallow a human or an alligator? Such a snake met diver’s Franco Banfi in the Brazilian Mato Grasso. See photos of this terrifying giant. We only add that the biggest anaconda yet we managed to meet, was over 11 meters long and weigh well over one hundred kg.